Terrific prices and service"I used the site last year to purchase carpets for two floors; 5 rooms and a stairway. I admit to phoning for assistance and could not have been happier with the help and advice that I received from Pete. The samples came, no trouble, the carpet arrived on time and in great order and I saved 30% from buying from my local carpet shop. 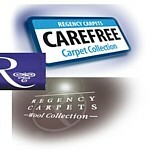 Excellent service and a great experience and am about to use again for living room carpet. If you are unsure about ordering online, phone up - lots of help and advice." 5 stars. "I don't know who you are but thank you so very much for your email out of hours and your reassurance, it is very much appreciated. Your site and products are fantastic, I have a small budget and a large area in my new premises to cover and this is a carpet and colour I have seen previously but didn't want to spend so much....I found it on your site, the exact same carpet and colour! Now I received this message, I am delighted and would want to write you a testimonial. UK Customer Service has never been fantastic (I am Anglo-American, British born)....but this is the sort of service you would get in the States and I commend you for it! Thank you so much for restoring my faith as a customer"
"I ordered three rolls of Cloud 9 Cumulus underlay...with a promised overnight shipping. As soon as I ordered, I received email confirmation, then later same day I recd confirmation order had been passed for shipping and would be delivered following day as promised.... The rolls arrived as stated within that time frame. We unpacked them and checked them over, all perfect quality, no seconds. Firstly your prices are very competitive but your customer service is top notch. Will most certainly recommend you in future." Just to say thank you for such good service - my underlay was delivered about 9 this morning after my order of yesterday morning and I am very pleased with it. Thank you for a great service. Your customer service and after care is second to none - the very best I have encountered on the web. Friendly people that do what they say they will do - most unusual today. This was my second order with you and the service was the same as for the first - excelent. I will definitely be coming back to you when I need flooring again and will recomend you to all my aquaintences. Thank you once again. ABSOLUTELY BRILLIANT SERVICE AND DELIVERY from this company, placed a order online for ***WARMLUXE 12mm Thermal Dynamic Carpet Underlay, order was placed at roughly 2pm on 23 Jan 2013 and was received by myself at 11am 24 Jan 2013 even with the snow we have had, will definitely not hesitate to use this company again and will recommend to people I know, only one delivery cost and not per item, I even saved myself a lot of money compared to C88888Right, once again ABSOLUTELY BRILLIANT COMPANY. Thank you. Just to say thank you for your first class service. My order placed at 11.27 am was on my doorstep at 1.45pm next day. I will certainly recommend you to my friends and foes. Best wishes to all. I saw this site.... after being quoted £7.50 a square metre by a carpet fitter, I phoned yesterday and spoke to Brenda who was extremely helpful and 24hours later the underlay was here!!!!!!!! absolutely faultless service, unbelievable price, you deserve at least 50 gold stars for this service, many, many thanks. Just wanted to thank you for the excellent service.... my carpet and underlay were delivered far quicker than my local store would have done. I have been recommending you to everyone I know.... I have put you in my favourites and when I need carpet in the future you will be my first point of call - for great service and value. Many thanks. I would go back to them again with no second thought. I order on the friday and got delivery on the Monday the driver even brought the under lay into my Bungalow where I needed it to be layed. This is One very happy lady. We thought you would like to know that we were delighted with the underlay which you recommended. Had we not taken the advice of your very helpful lady, we would most certainly have made a big mistake (for the 2nd time!). Many thanks and it was very thoughful indeed to let us know that the delivery had taken place to our shipper. I would most certainly use your company again - it is such a pity that so few companies these days offer such a personal service. Keep up the excellent work. Just a note to thank you for your excellent service. The order process was very straightforward, and delivery was exactly when promised. I'm very pleased with the quality of the carpet and underlay you supplied - and the value for money is exceptional. Overall, the cost of the carpet, underlay and accessories was about 60% less than the price quoted by a leading high street retailer. OK, I had to fit the carpet myself, but this was easy enough with the purchase of a knee kicker and a good quality knife.